Thinking back of the last few off road trips I have done. I have come across Rangers, Patrols, Hiluxs, Landcruisers, Navaras, Pajeros, Challengers, Mazda’s, Suzuki’s and a few others including, of course, Subarus. But no Discos. No Rangies. I did see a Rangie on a dirt road once. I just assumed his GPS was broken. Do Lucas make GPS units? It's funny, isn't it how you become aware of things. When I was driving a troopy and a Hilux I never saw a Forester either. Now, the only ones I see off road other than on the internet are the ones in the same convoy as me. Do Lucas make GPS units? No, for the same reason they don't make computers too - they haven't worked out how to make them leak oil!!! As for the global platform - where would one store all these different bodies? I think I'd rather just swap out springs/strut combos for street or offroad (rears). That's not really ideal on the gen1/2, and I'm not sure about the later foz rear setups. Many years ago when I lived in South Africa I owned a Citroen Club which could be raised/lowered as necessary. Great little car and thrived on revs. Even in top gear it would red line. You guys are spoilers. After I saw it I wanted one. You have to sit down. Take a deep breath. Twice. Calm down. Close your eyes. And in back of your mind there is a small doubt telling you - YOU'RE NOT!!! Swapping bodies requires a separate chassis. There goes your rigidity. It also adds weight and cost. They do however make brake pads because they know how to make things stop! 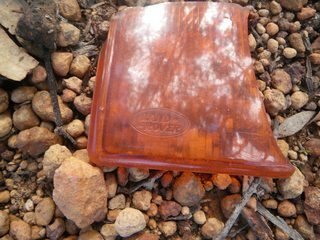 On Western Australian tracks I see the occasional Land Rover convoy, a few new and old ones tagging along with other groups, plus pieces of Land Rover parts scattered along the ground. So they do get used offroad here in the West, just nowhere near as much as Patrols and Cruisers. They have a lot of technology that makes them capable, just means you have to find hard tracks to test them. No different to fitting larger tyres and lockers in other 4wd's. The challenging part is finding testing tracks that aren't too far from the nearest repair shop. Coilovers, quick disconnect sway bars and 2 sets of wheels are probably the best way to get a variety of different cars into one Subaru. However I am too lazy to wind the coilovers up and down for on and offroad or change 4 tyres. I just found a compromise that suits me and leave it. I do use quick disconnect swaybars, only because it takes under a minute to do.